Who will sleep in the new mattress? Looks like you have multiple sleep issues. Let’s get them resolved. Which type of activities below do you typically do in bed? You’re a multitasker in bed.  We recommend a Queen Serta Perfect Sleeper Firm Innerspring mattress. Model name and availability varies by local authorized Serta retailers, so please check with your local store to see what models are available to meet your needs. 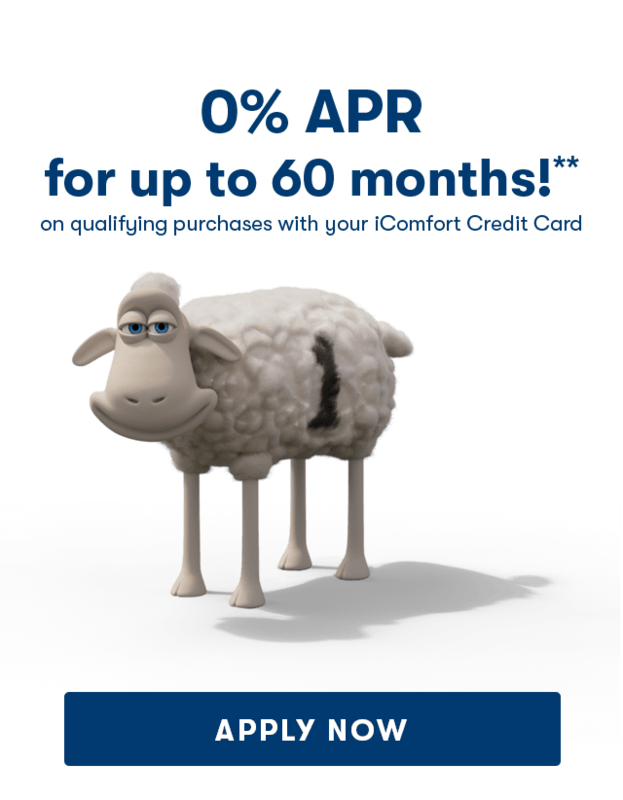 *Starting at price points may vary at local authorized Serta retailers. 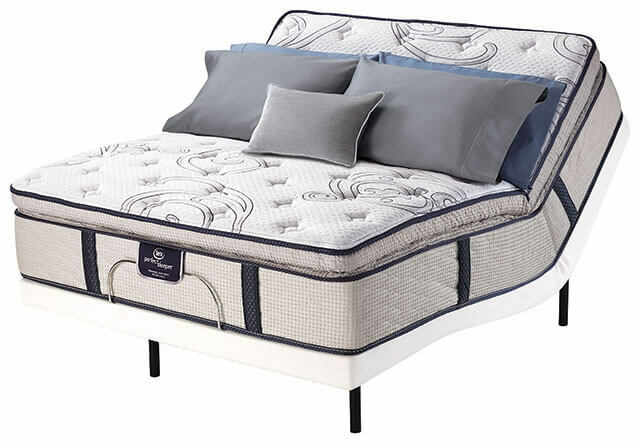 Model names, availability and price ranges may vary at local authorized Serta retailers. This product is great! We purchased it to replace a 10 year old memory foam topper and this one is great, we don’t get hot at night anymore, superior comfort, we like a soft bed andthis one really delivers and it comes with a protective cover whisk is a big plus! Why didn’t I do this sooner???? After several spinal fusions with hardware up and down my back, the aches and pains often limit my comfort and sleep time. Purchasing this memory foam mattress along with the Rize adjustable base has done wonders for my back! Now when I put it back to flat in the morning, I can feel all the aches, pains and strains from years of sleeping flat return. Great purchase! Should have done it sooner! This review was originally posted to Mattressfirm.com. I owned a Serta for many years and replacing it was long overdue. Based on my research, I knew that I wanted a firm memory foam mattress to help eliminate my morning lower back pain. I sampled several brands. The choice came down to two, the Serta iComfort and the other well- known memory foam brand. After laying on each mattress in the showroom for the recommended 15 minutes, the choice was easy.  The iComfort provided the right mix of comfort and firmness for me. We owned an older Tempurpedic all foam mattress for about 10 years and liked it, but it we needed to upgrade to a king size. We tried many different mattresses in stores and liked the comfort and value of the Serta iComfort series. 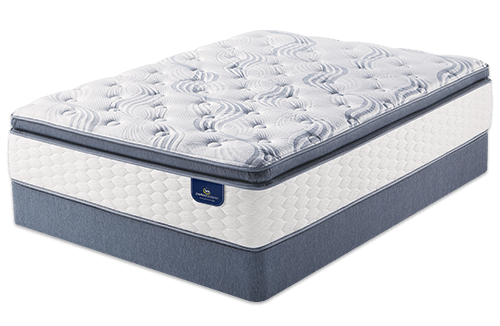 Some versions were too soft for us, so we chose the firm gel memory foam set (Serta iComfort Blue Max 1000 Cushion Firm Gel Memory Foam King Mattress Set). We love how we sleep in it. It is just the right amount of firmness without feeling hard and it doesn't get too ... read more hot or cold. The bed doesn't shake when one of us roll over. We did use a cooling mattress protector on top from Tomorrow Sleep, which keeps it from getting too hot as well. In the winter, we use fleece sheets to be a little warmer due to the cooling effects. We have been very happy with it so far and would definitely recommend it to others. 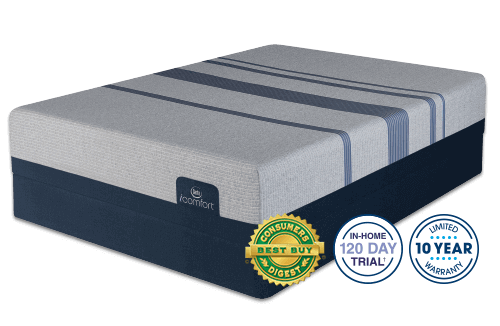 The second I tried this out in the store I felt completely supported from head to toe with the perfect firmness, like no other mattress I've ever used. You know how experts are always telling back sleepers to lie with your knees elevated to give your lower back the proper support? With this mattress you don't need to...I can lie flat on my back and the support is amazing and so comfortable. It is also excellent for side sleeping as long as you have a thick memory foam pillow. I can't say enough ... read more about how pleased my wife and I are with this mattress set. Thank you Serta! This iSeries Hybrid of foam and coils is hands down the most comfortable mattress we've ever owned. It is soft enough for wife, and firm enough for me. We do not toss and turn at night, or wake up stiff in the morning. This was my first large purchase as an adult other than my car and I LOVE IT! I was on a spring mattress before this one and I will never go back. I choose the 300 Blue Firm and it has been great for my back. I use to sleep so poorly and now I rarely wake up in the middle of the night because of back pain. I would highly recommend this product! Well built and very comfortable. I replaced my 28 year old Tempur-Pedic bed with a iComfort BLUE 300 Queen Mattress Motion Essentials III Queen Adjustable Base. I suffered from a back injury back in 1998 and as the years went on I was getting less and less sleep due to other issues that popped up over the years. 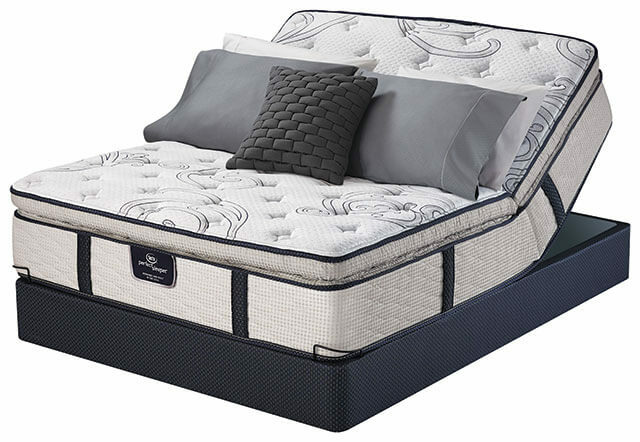 I layed on this mattress system and adjusted it and my back spasms immediately stopped when I found the sweet spot. I was instantly sold. I'm looking forward to nights asleep again like when I was younger. My husband and I have thoroughly enjoyed our new perfect sleeper. We get a great night's sleep. It is very comfortable. We are very pleased with the quality and comfort of the product. Very happy with my purchase of the Serta I Comfort Blue Fusion 200 Plush Hybrid Mattress. It has a firm feel to it and it contours to your body. I have been sleeping better and when I wake up I don't have backaches anymore. Very well made mattress and good warranty. I have only had this bed for a couple days, so I can’t give a thorough review, but I absolutely loved it on the store floor, and I am sure I will continue to love it. To me, it feels like I am floating on air when I lay on this bed. I decided on a Serta after staying at a hotel that had a Serta Perfect Sleeper. 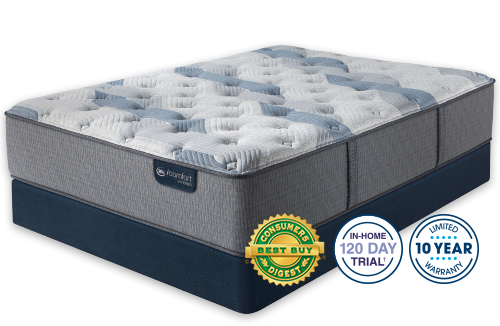 I went to a dealer that carries Serta’s and ended up with an icomfort Hybrid instead. I have become a major fan of Serta! Great quality and comfort.